The Electronic Pen concept from designer Jang Hyung-Jin is a small gadget that packs a lot of functionality into its pocket-size design. 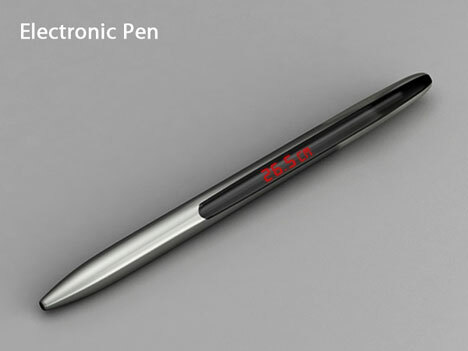 The pen’s internal sensor measures the speed and number of rotations the ball point makes, measuring the exact distance your pen draws and eliminating the need for a ruler. This isn’t the first measuring pen concept to see the light of day, but it does have an intriguing difference: no batteries. 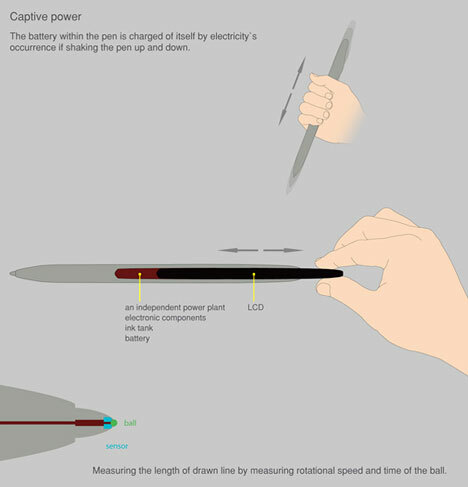 The pen gets a charge out of an internal “power plant” that generates electricity when you shake the pen. A small LCD screen displays just how far you’ve drawn. 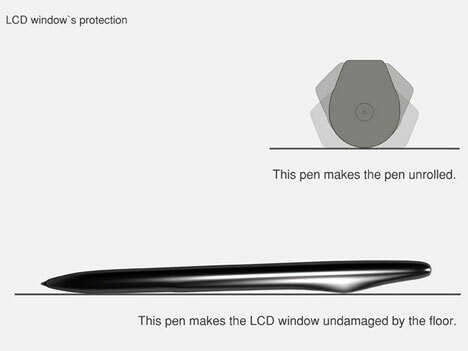 The pen’s unique shape keeps it from resting on the tiny screen, so there’s no worrying about the display being scratched up from careless placement. You’ll still have to worry about your coworkers walking off with the cool gadget, though.